Note: there are no actual spoilers in this post, but there is some speculation about this month’s Christmas Special of Doctor Who in the last paragraph. 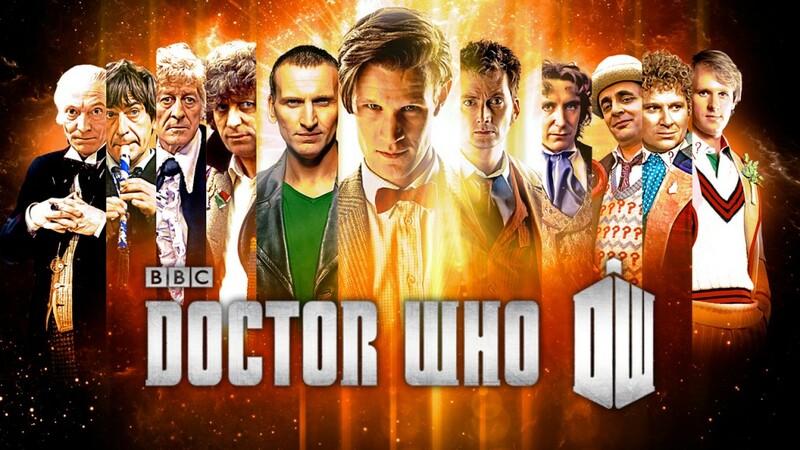 I have a confession to make: I don’t entirely get Doctor Who. It’s not that I don’t like it; I’ve watched pretty much every episode that has been aired since, as a young child in the late 70s, I was aware of its existence (and quite a few others besides). I wept buckets at the end of both “The Day of the Doctor” and An Adventure in Space and Time last week, and laughed like a loon during The Five(ish) Doctors Reboot. What I don’t understand is quite why it seems to inspire as much passion as it does. What I find with Doctor Who is this: a lot of the older stuff which is frequently cited as “classic” and the best that Who has to offer often leaves me non-plussed. At the same time, while I often feel that New Who gets a far worse rap from its Old Who critics than it deserves, as often as not it underwhelms me as well. Take a specific example: “The Caves of Androzani”. This is cited by multiple sources as the greatest Doctor Who story of all time. Yet when I watched it a couple of years ago, it left me cold. The acting was weak, the sets poor (I know, cheap shot), the pacing all over the place (despite having a fondness for Old Who-style cliffhangers, a lot of the time the episodic format seemed to lead to a lot of padding out), the drama was nowhere. At around the same time, I also saw “The Awakening” – a Peter Davison story which is variably treated as awful or indifferent – and really enjoyed it. I genuinely don’t understand why Caves is considered a classic while Awakening is a flop. Lest you think I’m just having a go at Old Who, I have a different problem with New Who. The new version solves a lot of the issues that the old one had, namely acting, special effects, pacing and theme, but has created some new ones of its own. To a lesser extent with the Russell T. Davies era and a much greater extent with the Stephen Moffat era, a formula has become established whereby the Doctor faces a problem, the stakes are raised to a ridiculously high level, there are lots of emotions, and then the Doctor solves everything with a lot of hand waving and Murray Gold’s score doing all the heavy lifting. After seven seasons of this formula, I feel like I’m done with it. There are episodes which follow this formula and yet transcend it, and I do feel that “Day of the Doctor” achieved that (partly I think because of the odd pacing which rather broke it up), but it has certainly been the case that for the last couple of years it has felt as if it has been stuck in a timeloop and being edited by an 8 year old with ADHD. I often feel like the subsequent animated gifs that emerge online after each episode of Doctor Who are more worthwhile than the episodes themselves. There is plenty about Doctor Who that I love. The TARDIS is a beautiful concept, wonderfully realised (and for me at least evokes childhood memories of excitedly spotting the last few genuine police boxes before they were removed from British streets). The enigmatic nature of the central character, together with its endless potential for renewal, has proven itself. I’m frequently taken in by the series’ charm, especially in the case of the Hartnell, Troughton and Tom Baker eras (Pertwee has never really done it for me). At its heart, the programme is about hope and believing in alternatives. Perhaps more so than any other science fiction or fantasy franchise, it is fundamentally, unashamedly liberal, with an emphasis on social justice and the dignity of the individual, and a deep distrust of authority and dogma. I suppose that ultimately my problem with Doctor Who boils down to this: somehow it appears to have ended up with a status that places it above a lot of other fandom for no other reason that there is so much of it. As a kid, Doctor Who pretty much lost me in the 80s and yet as an adult I feel that I’m often told it was my fault for not giving Colin Baker, Sylvester McCoy, Bonnie Langford, Sophie Aldred et al more of a chance. I think you need to squint a little too hard to see the genius of this era; it’s not that I can’t comprehend what people are talking about on an intellectual level, it’s just that it still isn’t that enjoyable – and this is meant to be entertainment after all. With New Who I almost have the opposite problem: I appreciate that the reason the series comes across like a hyperactive toddler is that it is a kid’s show, but at the same time I feel I’m supposed to also appreciate that it has depths at the same time, even when those depths seem to have been done by the numbers. Both incarnations seem to get let off the hook because of Doctor Who’s privileged status as the Grand Old Man of British genre television rather than appreciated on their own merits. To a certain extent this is echoed by Colin Baker’s intemperate “for the fans” remarks, complaining about the fact he and the other 80s Doctors weren’t invited to be involved in the 50th anniversary programme directly; what ought to matter is what makes good television, not nostalgic fanwank. Fundamentally, right now I think the series is in a rut. I can almost guess how “The Time of the Doctor” is going to go: the Doctor is given the choice between dying a final death (because he’s on his twelfth regeneration of course) and saving the universe, or letting something awful happen, it all gets terribly emotional and then he waves his hands around and cuts the Gordian knot, only to realise that he has to die anyway but – cue more handwaving – gets to regenerate after all. Oh, and there’ll be snow and sleigh bells at some point because Christmas. Hopefully it will transcend the formula again, but I think it will be hoping too much for it to actually subvert it. I pray that the Peter Capaldi incarnation will lead to a greater variation of tones and plotlines than we’ve seen in recent years; if it doesn’t then I might just be forced to give up on it.